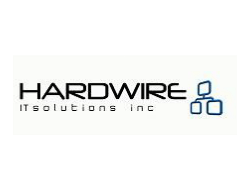 Hardwire IT Solutions Inc. is an information technology consulting/services firm providing IT consulting, networking services and technical application/hardware support to the Cape Breton Regional Municipality and surrounding areas. It was incorporated in September of 2009 and is a 100% Cape Breton owned and operated organization. Hardwire IT Solutions Inc. was formed by the former IT department of a national company whose data center was located in Sydney. Hardwire provides IT service to the CBRM and surrounding areas utilizing the same model that allowed them to support hundreds of users across multiple offices and manage thousands of end point hardware devices/applications on a 24/7 schedule. The Hardwire team has a total combined industry experience of 45 years and has supported a variety of businesses spanning multiple industries. Hardwire IT Solutions Inc. offers the Cape Breton market dependable, quality IT support services at competitive rates.